There are many people in this country (including military) pointing out false flags occurring here now, and this article offers a means to recognize them that doesn’t depend on being told what to think but encourages people to start thinking for themselves. There are also people warning that the country is being moved toward martial law. Would there be false flags here against the Jewish community in any move to declare martial law, portraying the dangers as anti-Semitic? Why have (astoundingly), over 97% of DHS funds gone to Jewish groups when DHS is a Bush-established unconstitutional agency that mimics what was set up in Nazi Germany? How many Jews recognize the Bushes’ literal Nazis history? Perhaps some. Of those, how many are aware the GHW Bush is controlling things here and was responsible for JFK’s, RFK’s, MLK’s assassinations and many more? The interview, though much more specific about how things are being run and about the Bushes, is consistent with this article on the Kennedy assassination and what was at stake. 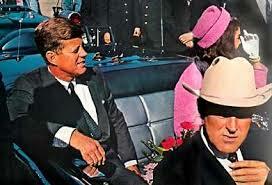 Who killed JFK? And why did they do it? L’haim. To life. Not to fear that has been used against us since the Reichstag fire (at the least). L’haim – to this country and all its people. This entry was posted in Constitution and tagged 2A, freedom, judaism, self defense. Bookmark the permalink. But there was one thing the American rabbis failed to mention – the Palestinian people. For some reason, those rabbis who knew much about ‘universalism’ and in particular Jewish ‘universalism’ showed very little concern to the people of the land. I guess that after all, chosennss is a form of blindness and rabbis probably know more about this than anyone else. Zionism is not a secularist movement. It has its origins and roots in the authoritative religious texts of Judaism.Scripture and rabbinical literature alike are replete with the promise of the restoration of Israel to its ancestral home. Anti-Zionism, not Zionism, is a departure from the Jewish religion. Nothing in the entire pronouncement of our colleagues is more painful than their appeal to the prophets of Israel—to those very prophets whose inspired and recorded words of national rebirth and restoration nurtured and sustained the hope of Israel throughout the ages. Our colleagues find themselves unable to subscribe to the political emphasis “now paramount in the Zionist program.” We fail to perceive what it is to which they object. Is it to the fact that there are a regularly constituted Zionist organization and a Jewish Agency which deal with the mandatory government, the Colonial office, the League of Nations and other recognized political bodies? But obviously, even immigration and colonization are practical matters which require political action. The settlement of a half million Jews in Palestine since the last war was made possible by political action which culminated in the Balfour Declaration and the Palestine Mandate. There can be little hope of opening the doors of Palestine for mass Jewish immigration after the war without effective political action. Or is it that they object to the ultimate achievement by the Jewish community of Palestine of some form of Jewish statehood? We are not so bold as to predict the nature of the international order which will emerge from the present war. It is altogether likely, and indeed it may be desirable, that all sovereign states shall under the coming peace surrender some of their sovereignty to achieve a just and peaceful world society. Do you buy this hogwash? Read some history, I beg of you. Read the Talmud, which encourages the beliefs of exclusivity,pedophilia,violence towards non-Jews, etc. Their own beliefs and behaviors have caused the expulsion from every European country. Rabbis are masters of language manipulation. They use our Bill of Rights against us. No sympathy from here. IF U R A JEW LIVING ANYWHERE IN THE WORLD U SHOULD WATCH THIS NOW! IF U R A JEW LIVING OUTSIDE OF ISRAEL U SHOULD WATCH THIS NOW!